In 1979 graduated from Moscow Mining Institute. From 1979 till1993 worked in A.A. Skochinsky Institute of Mining in the positions from intern researcher to the head of department. 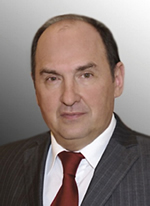 From 1993 till 1996 - deputy Director General, then Vice-President of Russian Coal Company State Corporation (Rosugol). 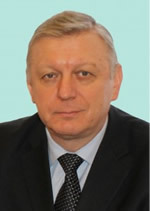 From 1998 till 2000 - Official Secretary – Deputy Minister of Fuel and Energy of the Russian Federation. 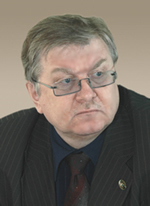 Then, till 2004 – deputy Minister of Energy of the Russian Federation. From 2004 till 2008 - director of the Department of the fuel and energy complex, director of the Department of the state energy policy; Deputy Minister of Industry and Energy of the Russian Federation. From June 2008 - Deputy Minister of Energy of the Russian Federation. Doctor of Economics, Ph.D. in Engineering. - Department of Coal and Peat Industry. Heads the editorial board of the journal and ensures its efficient activity. Holds meetings of the editorial board and controls enforcement of resolutions. Represents the journal in different authorities and organizations. Coordinates the deputy’s work. Organizes and controls activities on elaboration of the journal development strategy, improvement of its topics and achievement of the edition’s profitability. Chief Editor is appointed and released from the position by the founder (co-founders) and exercises his/her duties on a voluntary basis. RusSCI, Cited – 346 times, Hirsh's Index – 7. • Yanovsky A.B. & Skryl' A.I. Restructuring of the Coal Industry of Russia: Background, Experience, Problems, Prospects [Restrukturizatsiya Ugol’noy promyshlennosti Rossii: predposylki, opyt, problemy, perspektivy]. Energeticheskaya politika – Energy Policy, 1999, No. 3. • Yanovsky A.B. On the State and Measures to Develop the Coal Industry in Russia [O sostoyanii i merakh po razvitiyu ugol’noy promyshlennosti Rossii]. Ugol’ – Russian Coal Journal, 2010, No. 8, pp. 3-11. • Yanovsky A.B., Shteyntsayg R.M., Pal'chevskiy Yu.P. State-Private Partnership as a Mechanism to Boost Industry Development [Gosudarstvenno-chastnoye partnerstvo kak mekhanizm intensifikatsii razvitiya otrasli’]. Ugol’ - Russian Coal Journal, 2010, No. 9, pp. 3-5. • Yanovskiy A.B. Russian Coal. Past, Present and Future [Ugol’ Rossii. Proshloye, nastoyashcheye i budushcheye]. Ugol’ - Russian Coal Journal, 2012, No. 8, pp. 8-12. 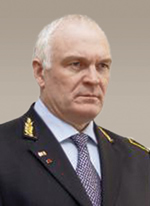 Mining Engineer, Correspondent Member of the Russian National Academy of Energy Journalism, Full Knight of the Miner's Glory Distinction, Holder of the Mining Fame Distinction of the Second and Third Degree, Laureate of the Russian National Exhibition Centre (Silver and Gold Medals), Laureate of the Best Publication of Fuel and Energy Problems in Russian Federation Contest in 1996. Authorities in Ugol' Journal (the Russian Coal Journal): Mr. Tarazanov directly manages the day to day operations of the editorial board and its staff, assuming personal responsibility for the performance of the editorial staff, ensuring each issue of the journal is ready on time, sorting out current and long term issues pertaining to the running of the Editorial Board and falling within its competence; organises the publishing and circulation of the journal; reviews materials received by the Editorial Board; organises the selection of materials for each issue of the journal, signing materials off for publication coordinates work with printing companies; sorts out current economic issues having to do with the running of the journal; keeps track of the editorial documentation; signs contracts to publish and circulate the journal and for other services provided by the editorial staff; organises efforts aimed at improving the financial performance of the journal; arranges communication between the editorial staff and organisations charged with publishing and circulating the journal as well as with the editorial boards of other publications, prepares for and holds meetings of the editorial staff, meetings with the readers and authors of the Ugol’ journal, represents the journal in various authorities and organisations. Author of over 50 analytical reviews and articles. RusSCI, Cited – 209 times, Hirsh's Index – 7. Most Important Publications: Performance of the Russian Coal Industry reviews published in the Ugol’ Journal since 2003 on a quarterly basis as well as articles on the history of the Ugol’Journal (1990, 1995, 2000, 2005, 2010, 2015). 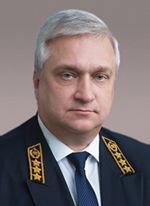 Doctor of Engineering Sciences, Honorary Employee of the Fuel and Energy Complex, the Best State Inspector of the Mining Supervision Service of Russia, Recipient of the Gallantry Order for Participation in the Mission to Rescue Miners Following an Accident in the Western Mine, Full Knight of the Miner's Glory Distinction. Research Areas: new solutions and technologies grounded in solid research, innovative approaches and constant modernisation of existing equipment, taking into account economic benefits, health and safety, environmental protection, development of regulations and methodologies, information and computer technologies for health and safety in coal mines. Author of over 100 publications and 3 authorship certificates. The publications deal with how to help engineers of mining and coal processing companies to achieve a level of engineering expertise that meets the highest standards of leading global coal mining companies. Most of the publications are widely used by instructors and students in specialised schools as well as research, development and expert organisations. RusSCI, Cited – 653 times, Hirsh's Index – 11. • Artemyev V.B. Prrospects of Coal Plowing [Perspektivy strugovoy vyyemki uglya]. Ugol’ – Russian Coal Journal, 2004, No. 3. pp. 9. • Artemyev V.B., Kilin A.B. & Galkin V.A. How to Create an Innovative Efficiency and Healthand Safety Management Systems during a Financial Crisis [Problemy formirovaniya innovatsionnoy sistemy upravleniya effektivnost'yu i bezopasnost'yu proizvodstva v usloviyakh finansovogo krizisa]. Ugol’ – Russian Coal Journal, 2009, No. 6, pp. 24-27. • Artemyev V.B., Ruban A.D., Zaburdyayev V.S., et al. Industrial Standard for the Process of Extracting and Disposing of Mine Methane During Underground Extraction of Natural Gas Containing Coal [Promyshlennyy reglament tekhnologii izvlecheniya i utilizatsii shakhtnogo metana v protsesse razrabotki vysokogazonosnykh ugol‘nykh plastov podzemnym sposobom]. Ugol’ – Russian Coal Journal, 2010, No. 2, pp. 18-20. • Artemyev V.B., Kilin A.B., Galkin V.A., et al. Conceptial Approach to Developing a System of Continuous Efficiency and Health and Safety Improvmenet in Coal Mining Based on Promoting Motivation and Skills [Kontseptual'nyy podkhod k formirovaniyu sistemy nepreryvnogo povysheniya effektivnosti i bezopasnosti ugledobychi na osnove razvitiya motivatsii i kvalifikatsii personala]. Ugol’ – Russian Coal Journal, 2011, No. 10, pp. 52-54. • Kolesnichenko Ye.A., Artemyev V.B., Kolesnichenko I.Ye., et al. Energy and Ehcmial Laws Leading to Explosions of Methane in Dusty Atmosphere of Mine Shafts [Energeticheskiye i khimicheskiye zakonomernosti obrazovaniya vzryvov metanovozdushnoy smesi v zapylonnoy atmosfere ugol‘nykh shakht]. Ugol’ – Russian Coal Journal, 2012, No. 1, pp. 28-32. • Artemyev V.B., Kilin A.B., Shapovalenko G.N., et al. Concept of Preventive Monitoring as a Means of Significantly Reducing Injuries [Kontseptsiya operezhayushchego kontrolya kak sredstva sushchestvennogo snizheniya travmatizma]. Ugol’ – Russian Coal Journal, 2013, No. 5, pp. 82-85. • Artemyev V.B., Kilin A.B., Kostarev A.S., et al. Concordance: Criteria and Mwans of Improving Efficiency and Safety of Production [Konkordatsiya – kriteriy i sredstvo povysheniya effektivnosti i bezopasnosti proizvodstva]. Ugol’ – Russian Coal Journal, 2014, No. 3, pp. 68-72. • Artemyev V.B., Galkin V.A. & Kravchuk I.L. Health and Safety (Organisational Issues) [Bezopasnost' proizvodstva (organizatsionnyy aspekt)]. Moscow, Gornaya kniga – Mining book, 2015, 159 p.
• Kolesnichenko I.Ye., Kolesnichenko Ye.A., Artemyev V.B., et al. Physical Aspects of Determining Air Losses in Ventilation Ducts [Fizicheskiye aspekty opredeleniya poter' davleniya vozdukha v ventilyatsionnykh truboprovodakh]. Ugol’ – Russian Coal Journal, 2015, No. 5, pp. 68-73. 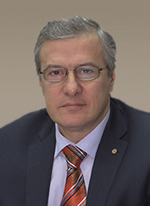 Doctor of Engineering Sciences, Professor, Member of the Russian Academy of Natural Sciences, Academy of Mining Sciences, International Academy of Environment, Safety of Humans and Nature, Deputy Chairman of the Committee on Energy Strategy and Development of the Chamber of Commerce of Russia, Member of the Presidium of the Council for Instructional and Methodological Association of Russian Universities for Higher Education in Mining, Honorary Employee in Science and Technology of Russia, supervisor of 2 Ph.D. candidates, founder and head of the permanent scientific seminar on modern technologies in mining engineering run as part of the Mining Week symposium. Research Areas: mining equipment and mining engineering technologies. 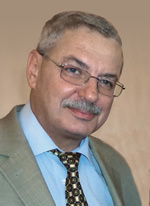 Author of more than 70 scientific publications, on mining equipment and mining engineering technologies, including four Russian patents for inventions and two publications in the Ugol’ Journal (the Russian Coal Journal). RusSCI, Cited – 36 times, Hirsh's Index – 2. • Verzhanskiy A.P. Screening Chamber [Pomol'naya kamera], Russian Patent No. 2206400, Byull. izobr., 2003, No. 17. • Verzhanskiy A.P. Experimental Research of the Mechanics of Interaction between Bleeching Bodies and the Material being Crushed in a Planetary Mill [Eksperimental'nyye issledovaniya mekhaniki vzaimodeystviya melyushchikh tel s izmel'chayemym materialom v planetarnoy mel'nitse]. Ugol’ – Russian Coal Journal, 2004, No. 6, pp. 64-67. • Verzhanskiy A.P. & Dmitrak Yu.V. Experimental Studies of Crushing Equipment for Making Coal Powder [Eksperimental'nyye issledovaniya kompleksa izmel'chitel'nogo oborudovaniya dlya polucheniya ugol'nogo poroshka]. Ugol’ – Russian Coal Journal, 2005, No. 6, pp. 67-69. • Verzhanskiy A.P. & Dubinin P.I. Mechanism for Crushing Stone using a Single Piece Diamond in Round Polishing [Mekhanizm razrusheniya kamnya yedinichnym almaznym zernom pri kruglom shlifovanii]. Tekhnologiya mashinostroyeniya – Mechanical Engineering Technology, 2009, No. 12. Doctor of Engineering Sciences, Professor, Member of the Academy of Mining Sciences, 8 doctorate and 8 Ph.D. theses were prepared and defended under his supervision. Research Areas: health and safety and efficiency problems and solutions in the mining industry. Author of more than 110 monographies and scientific articles. RusSCI, Cited – 408 times, Hirsh's Index – 8. • Galkin V.A., Kozovoy G.I., Pikalov V.A., et al.. Standardisation as the Main Tool for Improving Efficiency and Safety of Coal Mines [Standartizatsiya – osnovnoy instrument povysheniya effektivnosti i bezopasnosti funktsionirovaniya ugol'nykh shakht]. Ugol’ – Russian Coal Journal, 2004, No. 7, pp. 5-6. • Kozovoy G.I. & Galkin V.A. Role of Personnel in Insuring Competitiveness of a Coal Mine [Rol' personala v obespechenii konkurentosposobnosti ugol'noy shakhty]. Ugol’ – Russian Coal Journal, 2006, No. 1, pp. 14-16. • Artemyev V.B., Kilin A.B., Galkin V.A., et al. Conceptual Approach to Buidling a System of Continuous Improvement of Efficiency and Safety of Coal Mining through Professional Development of Personnel and Improving their Motivation [Kontseptual'nyy podkhod k formirovaniyu sistemy nepreryvnogo povysheniya effektivnosti i bezopasnosti ugledobychi na osnove razvitiya motivatsii i kvalifikatsii personala]. Ugol’ – Russian Coal Journal, 2011, No. 10, pp. 52-58. • Galkin V.A., Kilin A.B., Makarov A.M. Theoretical Foundations and Methods for Designing Mining Companies as Technology Organisations [Teoreticheskiye osnovy i metody proyektirovaniya gornodobyvayushchego predpriyatiya kak organizatsionno-tekhnologicheskoy sistemy]. Gornyy Informatsionno-Analiticheskiy Byulleten' – Mining Information and Analytical Bulletin, 2013, Special Issue, 17 p.
• Artemyev V.B., Dobrovolskiy A.I. & Galkin V.A. Concept for the Transition to a New Level of Safety and Production Efficiency (How do we Take the Izmail) [Kontseptsiya perekhoda k novomu urovnyu bezopasnosti i effektivnosti proizvodstva (kak nam vzyat' Izmail)]. Ugol’ – Russian Coal Journal, 2014, No. 10, pp. 74-78. • Galkin V.A. & Makarov A.M. Methodology for Develoment of Personnel Competencies in a Coal Mining Company [Metodologiya razvitiya kompetentsiy personala gornodobyvayushchego predpriyatiya]. Ugol’ – Russian Coal Journal, 2014, No. 10, pp. 83-85. • Artemyev V.B., Galkin V.A. & Kravchuk I.L. Helath and Safety (Organisational Issues) [Bezopasnost' proizvodstva (organizatsionnyy aspekt)]. Moscow, Gornaya kniga – Mining book, 2015, 159 p.
• Artemyev V.B., Galkin V.A. & Makarov A.M. Room for Improving Safety and Production Efficiency at SUEK during a Crisis [Rezervy povysheniya bezopasnosti i effektivnosti proizvodstva SUEK v usloviyakh krizisa]. Ugol’ – Russian Coal Journal, 2015, No. 2, pp. 31-33. 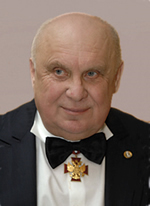 Doctor of Engineering Sciences, Professor, Member of the Academy of Mining Sciences, R&D Manager for the Project to Develop the Karakansky Coal and Energy Cluster, Honored Miner of Russia, Laureate of the Russian State Award for Science and Technology (1992), Laureate of the Kuzbass Award (2001), Full Knight of the Miner's Glory Distinction, the person who supervised large scale reorganisation and liquidation of almost 200 unprofitable mines and open-pit mines. Research Areas: strategic development of the coal industry, restructuring of the coal industry, development of strategic development programmes for key coal producers in Russia, business diagnostics for coal mining companies. Author of more than 100 scientific publications. RusSCI, Cited – 363, Hirsh’s Index – 4. • Zaydenvarg V.Ye. Russian Coal Industry: Problems and Developmetn Prospects [Ugol'naya promyshlennost' Rossii: problemy i perspektivy razvitiya]. Ugol’ – Russian Coal Journal, 2004, No. 9, pp. 8-9. • Serov V.I. & Zaydenvarg V.Ye. On Climate and Energy [Razmyshleniya o klimate i energetike]. Ugol’ – Russian Coal Journal, 2005, No. 3, pp. 63-66. • Trubetskoy K.N., Zaydenvarg V.Ye., Kondratyev A.S., et al. Water-Coal Fuel – Technology of the Future and Options for Use in Russia [Vodougol'noye toplivo – tekhnologiya budushchego i perspektivy primeneniya v Rossii]. Ugol’ – Russian Coal Journal, 2007, No. 11, pp. 28-31. • Krasnyansky G.L., Zaydenvarg V.Ye., Kovalchuk A.B., Skryl' A.I. Coal in the Russian Economy [Ugol' v ekonomike Rossii], In G.L. Krasnyansky (Ed.). 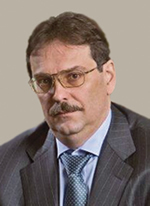 Moscow, Ekonomika – Economics, 2010, 383 p.
Doctor of Engineering Sciences, Professor, Corresponding Member of Russian Academy of Sciences, Member of the Academy of Mining Sciences, Chairman of the scientist and member of the dissertation council IPKON RAS, expert RFBR Board, winner of the prize Academician A.A. Skochinskiy, Full Knight of the Miner's Glory Distinction, a prominent scientist in the field of integrated development of mineral resources. 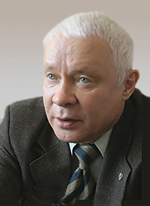 Works Mr. Zakharov’s made a significant contribution to the development of the theory of rational man-made conversion of mineral resources during the development of deposits of solid minerals, creating a highly effective and safe geotechnologies mining ore, diamonds and Coal and Gas Deposits. Much attention is paid to the development of his research geoinformation systems, the study of the flow patterns of gas-dynamic and geomechanical processes in the converted array technologically. 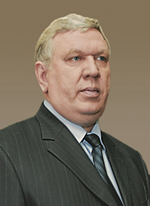 Mr. Zakharov is one of the founders of the development and establishment of mining geophysics and geocontrol. They solved the theoretical problems of formation and propagation of seismic acoustic wave field in coal seams and surrounding rocks. 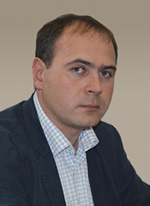 Mr. Zakharov is the head of fundamental research, conducted by the Institute in accordance with the Program of basic research of the State Academy of Sciences. With his direct participation made and continue to be carried out on large government contracts to innovative projects the Federal Target Program "Research and development on priority directions of development of Russian science and technology complex for 2014-2020.". Under his supervision 5 Ph.D. and 1 doctoral thesis. The main scientific and technological research results are implemented in the activities of the largest mining companies in Russia. Research Areas: comprehensive development of subsurface; mine geophysics; geomechanics; geocontrol; theoretical and experimental studies of gas dynamics and geomechanics of the technogenically transformed massif; theoretical issues of formation and propagation of seismoacoustic wave fields in coal seams and enclosing rocks; rational technogenic transformation of subsurface in the development of fields of solid minerals; creation of highly effective and safe geotechnologies for mining operation; studies of regularities of gas-dynamic and geomechanical processes in technogenically transformed massifs of rocks; development of geoinformation systems of development of deposits; development of integrated technology for mine methane extraction and utilization; degassing; energy saving technology of underground coal gasification; forecast and risks of hazardous natural and anthropogenic phenomena in the underground working of solid mineral deposits. Author of more than 135 scientific publications, including 5 monographs and 11 patents and inventions. RusSCI, Cited – 301 times, Hirsh’s Index – 7. • Zakharov V.N., Kubrin S.S., Feit G.N. & Blokhin D.I. Determination of rock deflected mode in developing coal beds which are hazardous as regards geo and gas-dynamic phenomena. Ugol’ – Russian Coal Journal, 2012, No.10, pp.34-36. • Zakharov V.N., Malinnikova O.N., Trofimov V.A. & Filippov Y.A. Stability and creeping of Landslide slope. Journal of Mining Science, 2014, Vol.50, No.6, pp.1007-1016. • Zharikov I.F., Zakharov V.N. & Norel B.K. Strength certificate and the constraint equation relating stress and strain invariants for inhomogeneous rocks in bulk stress state. Mechanics of Solids, 2015, Vol.50, No.6, pp.641-649. • Zakharov V.N., Malinnikova O.N., Trofimov V.A. & Filippov Y.A. Effect of gas content and actual stresses on coalbed permeability. Journal of Mining Science, 2016, Vol. 52, No. 2, pp. 218-225. Doctor of Engineering Sciences, Professor, Honorary Employee of the Fuel and Energy Complex,Full Knight of the Miner's Glory Distinction, who has supervised preparation and defence of 3 doctorate and 12 Ph.D. theses. Research Areas: strategic planning and forecasting of the coal industry development as part of the fuel and energy complex, development of scientific forecasts for the development of the Russian and global energy and coke markets, developing logistics flows for coal products. • Crocker G. & Kovalchuk A. Prospects for coal and clean technologies in Russia. IEA. Clean Coal Centre. Printed in United Kingdom, 2008, pp. 56. • Kovalchuk A.B. Strategic Vision for the Development of the Coal Industry in Russia [Strategicheskoye videniye razvitiya ugol'noy promyshlennosti Rossii]. Energeticheskaya politika – Energy Policy, 2008. No. 2. • Kovalchuk A.B. Coal in Russia’s Energy Strategy [Ugol' v energeticheskoy strategii Rossii]. Gluckauf na russkom yazyke – Gluckauf in Russian, 2009, No. 1. • Kovalchuk A.B. Russia-2014. Detailed Review of the Energy Policy. MEA. A View from Russia [Rossiya-2014. Detal'nyy obzor energeticheskoy politiki. MEA. Vzglyad iz Rossii]. Moscow, FGBU Rossiyskoye energeticheskoye agentstvo – FSBI Russian Energy Agency, 2014, pp. 44-47. 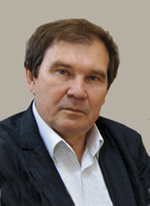 Doctor of Engineering Sciences, Professor, Member of the International Academy of Higher Education, Russian Academy of Natural Sciences, International Academy of Environmental and Health and Safety Sciences, a renowned scientist, Laureate of the Russian State Prize in Science and Technology for his Geological Atlas of Russia, Laureate of the Russian Government’s Science and Technology Prize for 2008, Member of the Presidium of the Higher Attestation Commission of the Russian Ministry for Education, a Member of the Governmental Commission on the Fuel and Energy Complex and Reproduction of Mineral Resources and Raw Materials, a Member of the State Duma Expert Council for Natural Resources, Head of Intergovernmental Russo-German and Russo-Canadian Dialogue on Use of Natural Resources; he developed a programme for training young researchers and instructors using a system that takes them from a student to assistant professor to a master’s degree then a Ph.D. candidate and finally a doctoral candidate and includes internships with the best Russian and foreign companies with the result that in recent years the university he heads up has got 140 new Ph.Ds under the age of 30 while the share of instructors with Ph.D. and doctoral degrees has exceeded 85%; For his outstanding achievements Belgium’s Higher Awards Commission awarded him a Commander title, he’s also a recipient of the Russian Ministry for Education’s Award and a distinction from the Federal Service for Intellectual Property, Patents and Trademarks for 1998 and 4th (2003) and 3rd (2010) degree Orders for Service to the Motherland. 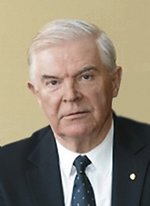 In 2001 he was given a Saint Andrew Order for outstanding contribution to the mineral resources sector of Russia. Research Areas: systemic geological and physical research of the composition, properties and state of rock using nonlinear dynamic models and geodynamic monitoring; integrated geophysical, hydro-geological and surveying research, development and introduction of cutting edge quarry coal extraction; science-based technological solutions and technologies for quarry mining; improving the organisation of quarry equipment; environmental and economic feasibility studies to select the most efficient options for developing mining companies; rock mechanics; prevention of sudden emissions of coal and gas; ensuring health, safety and environmental protection; development of health and safety standards. Author of more than 220 scientific publications, including 5 monographs and 47 patents and inventions (including abroad). RusSCI, Cited – 232 times, Hirsh's Index – 5. 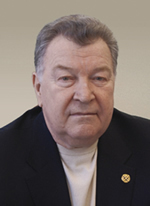 Doctor of Engineering Sciences, Professor, Academician of the Russian Academy of Sciences and the International Engineering Academy, the Russian Engineering Academy and the East West Academy, President of the Academy of Mining Sciences, Honorary President of Non-profit Partnership Gornopromyshlenniki Rossii, Laureate of Lenin Communist Youth Organisation Award (1990), Laureate of the State Russian Award (1993) for the Development and introduction of Composite Materials and Energy Efficient Technologies and Equipment in Coal Mining, Laureate of the Russian Government’s Award for Science and Technology (2001) for Analysis and Assessment of the Available Coal Deposits in Russia, a Prominent Mining Scientist Working on Exploration and use of Natural Resources Deposits who Supervised the Restructuring of the Mining Industry. Over his career Mr. Malyshev received numerous distinctions and awards such as the 3rd Degree Order for Service to the Motherland, an Order of Honour, a Medal for Outstanding Work, Officer Cross for Service to the Polish Republic, 2nd and 3rd Degree Saint Daniel of Moscow Order, Rudolf Diesel Gold Medal, Miner Glory Distinction of All Degrees, Russian Miner Golden Badge, 3rd Degree Saint Sergey of Radonezh Order, 1st Degree Patriarchal Badge of Saint Barbara, Saint Stanislaw Order and others. Research Areas: fundamentals of intensive technologies for underground mining of thick and medium sized coal layers, methods for studying technological schemes and parameters for coal extraction under various miing and geological conditions, ways to improve underground coal mining processes that take into account latest R&D findings, science and methodological approaches to the preparation and exploitation of mining fields as self-contained areas. Author of more than 160 scientific publications, 50 patents and innovations, researcher in many fundamental fields that have enriched the mining science. RusSCI, Cited – 1330 times, Hirsh's Index – 14. • Malyshev Yu.N., Zaydenvarg V.Ye., Zykov V.M., et al. Restructuring the Coal Industry: Theory, Experience, Programmes, Forecast [Restrukturizatsiya ugol'noy promyshlennosti: Teoriya. Opyt. Programmy. Prognoz], In Yu.N. Malysheva (Ed.). Moscow, Rosugol' – Russian Coal Company, 1996. 531 p.
• Malyshev Yu.N. Development of the Mining Industry as Competition in the Global Markets of Mineral Resources Intensifies [Razvitiye gornopromyshlennogo kompleksa v usloviyakh obostreniya konkurentsii na mirovykh rynkakh mineral'nykh resursov]. Mineral'nyye resursy Rossii. Ekonomika i upravleniye. – Mineral Resources of Russia. Economy and Management, 2013, No. 1, pp. 17-19. • Malyshev Yu.N., Ryakhovskiy V.M., Bulov S.V., et al. Principles for the Creation of Space Data Infrastructure for Industrial Waste in the Mining Industry [Printsipy sozdaniya infrastruktury prostranstvennykh dannykh po tekhnogennym otkhodam gornopromyshlennykh proizvodstv]. Gornaya promyshlennost' – Mining Industry, 2013, No. 1, pp. 104-106. • Kondrashin Yu.A., Malyshev Yu.N., Kozovoy G.I., et al. Underground Transport in a Coal Mine. Textbook [Podzemnyy transport ugol'noy shakhty. Uchebnoye posobiye], In Yu.N. Malyshev, G.I. Kozovoy (Ed.). Moscow, Izd-vo AGN – Academy of Mining Sciences Publishing, 2013, 488 p.
• Malyshev Yu.N., Taymaskhanov Kh.E., Mintsayev M.Sh., et al. Development Prospects of Geothermal Energy in Chechnya [Perspektivy razvitiya geotermal'noy energetiki v Chechenskoy respublike]. Ustoychivoye razvitiye gornykh territoriy – Sustainable Development in Mining Regions, 2014, No. 1, pp. 63-67. • Malyshev Yu.N., Titova A.V., Sveshnikov I.K., et al. Problems with Information Support of Use of Mining Industry Waste for the Production of High Tech Materials [Problemy informatsionnogo obespecheniya ispol'zovaniya otkhodov gornodobyvayushchey promyshlennosti v proizvodstve syr'ya dlya vysokotekhnicheskikh materialov]. Marksheyderiya i nedropol'zovaniye – Surveying and Use of Natural Resources, 2014, No. 5, pp. 63-67. Ph.D. in Economic, Member of the Academy of Mining Sciences, Honorary Employee of the Fuel and Energy Complex, Full Knight of the Miner's Glory Distinction. Research Areas: health, safety and environment, development of health and safety standards for coal mines and open-pit mines, economics and organisation of productivity, social protection of employees. Author of more than 20 scientific publications in health, safety and environment, industry standards and methodologies for health and safety at coal mines and quarries, social protection of employees and productivity. • Mokhnachuk I.I. & Titov S.V. Quality of Waste Treatment Equipment as the Foundation of Safety and Efficiency of Operation in Mechanised Mine Lavas [Kachestvo ochistnogo oborudovaniya – osnova bezopasnosti i effektivnosti raboty kompleksno-mekhanizirovannykh zaboyev]. Ugol‘ – Russian Coal Journal, 2006, No. 10, pp. 7-10. • Mokhnachuk I.I. Safety Problems in Coal Mining Companies [Problemy bezopasnosti na ugledobyvayushchikh predpriyatiyakh]. Ugol‘ – Russian Coal Journal, 2008, No. 2, pp. 21-26. • Mokhnachuk I.I. & Myshlyayev B.K. On Safety and Efficiency in Underground Mining in Russian Mines [O bezopasnosti i effektivnosti rabot pri podzemnoy dobyche uglya na shakhtakh Rossiyskoy Federatsii]. Ugol‘ – Russian Coal Journal, 2008, No. 4, pp. 27-30. • Mokhnachuk I.I. & Garkavenko A.N. State of Social Policy in the Coal Mining Industry Today [Sostoyaniye sotsial'noy politiki v ugol'noy otrasli na sovremennom etape]. Ugol‘ – Russian Coal Journal, 2008, No. 12, pp. 52-54. • Popov V.N. & Mokhnachuk I.I. Methodological Recommendation for How to Improve the Role of Federal Industry Agreements in the Organisation of Social Protection for Coal Mining Industry Workers [Metodicheskiye rekomendatsii po usileniyu roli Federal'nogo otraslevogo soglasheniya i kollektivnykh dogovorov pri organizatsii sotsial'noy zashchity rabotnikov ugol'noy otrasli]. Ugol‘ – Russian Coal Journal, 2010, No. 1, pp. 7-10. • Gribin Yu.G., Kuznetsova G.A., Mokhnachuk I.I., et al. On the Necessety to Improve the Role of Worker Pay in Efficiency and Safety Management in Coal Mining [O neobkhodimosti usileniya stimuliruyushchey roli zarabotnoy platy v sisteme upravleniya effektivnost'yu i bezopasnost'yu ugledobyvayushchego proizvodstva]. Ugol‘ – Russian Coal Journal, 2010, No. 9, pp. 13-17. • Mokhnachuk I.I. Creating a High Performacne Waste Removal Technology with Improve Safety for Gently Sloping 1-7 metre Thick Layers [Sozdaniye vysokoproizvoditel'noy ochistnoy tekhnologii povyshennoy bezopasnosti dlya pologikh plastov moshchnost'yu 1-7 m]. Ugol‘ – Russian Coal Journal, 2011, No. 4, pp. 30-34. • Mokhnachuk I.I., Myshlyayev B.K. & Titov S.V. On Ways to Improve Efficiency and Safety when Extracting Coal from Gently Sloping Layers [O napravleniyakh rabot po effektivnoy i bezopasnoy otrabotke pologikh moshchnykh ugol'nykh plastov]. Ugol‘ – Russian Coal Journal, 2013, No. 9, pp. 15-17. • Popov V.N., Gribin Yu.G. & Mokhnachuk I.I. Estimating the Difficulty and Attractiveness of Labour a Key to Scientific Design of Professional Standards in Surface Coal Mining [Otsenka slozhnosti, tyazhesti i privlekatel'nosti truda – osnova nauchnogo proyektirovaniya professional'nykh standartov rabochikh pri dobyche uglya otkrytym sposobom]. Ugol‘ – Russian Coal Journal, 2013, No. 10, pp. 46.48. • Mokhnachuk I.I. & Myshlyayev B.K. On Improving Efficiency and Safety in Russian Mines [O povyshenii effektivnosti i bezopasnosti rabot na shakhtakh Rossiyskoy Federatsii]. Ugol‘ – Russian Coal Journal, 2014, No. 2, pp. 11-14. Ph.D. in Economics, Member of the Energy Board of the Russian Government Participating in the R&D Council of the Coal Industry of the Russian Ministry for Energy to Develop a System of Fundamental and Applied Research to Develop an Innovative Infrastructure. Position, Contacts: RF Ministry of Energy, Director of the Department of the Coal and Peat Industry, Moscow, 107996, Russian Federation, tel. : +7 (495) 631-84-97, fax: +7 (495) 631-89-72. 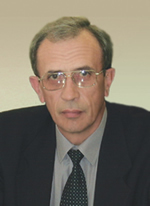 Doctor of Economics Sciences, Professor, Member of the Academy of Mining Sciences, Vice President of NP Technological Platform for Solid Natural Resources, Deputy Chair of the United Dissertation Council of RGTU-MGRI and TSNIEIugol, Honorary Employee of the Fuel and Energy Complex, Honorary Employee of the Higher Education System of Russia who’s supervised 6 doctoral and 16 Ph.D. theses. Position, Contacts: FSBU HE “Financial University under the Government of the Russian Federation” (Financial University), Dean of the Faculty of Economy and Finance of Fuel and Energy Complex, Moscow, 125993, Russian Federation, tel. : +7 (495) 249-52-99. Research Areas: economics of natural resources, economics of the mineral resources industry, economics and organisation of mining production, environmental, economic and social problems of coal mining regions, legal framework for use of natural resources, health, safety and environment, rational use of natural resources, mining monitoring, best available mining technologies and fuel and energy technologies, human resources for the mining industry, ensuring health and safety of mining operations, mining audit and design. Author of more than 100 scientific publications, including 3 monographs, over 10 textbooks and one invention. RusSCI, Cited – 465 times, Hirsh's Index – 10. • Petrov I.V. Estimating the Energy Efficiency of Coal Energy Technologies [Ekonomicheskaya otsenka energoeffektivnosti ugleenergeticheskikh tekhnologiy]. Gornyy Informatsionno-Analiticheskiy Byulleten' – Mining Information and Analytical Bulletin, 2014, No. S1, pp. 180-189. • Petrov I.V. & Stoyanova I.A. On Improving Envrionmental and Technological Safety at Coal Mining Companies in Operation and in the Process of Being Shut Down [K voprosu o povyshenii obespecheniya ekologicheskoy i tekhnicheskoy bezopasnosti deystvuyushchikh i zakryvayemykh ugol'nykh predpriyatiy]. Monitoring. Nauka i tekhnologii – Science and Technology Monitor, 2014, No. 2, pp. 54-58. • Goncharenko S.N., Le B.Z., Stoyanova I.A., Petrov I.V. Modelling the Parameters of Innovative Water Protection Measures Based on Coal Extraction Statistics of Vietnamese Companies [Modelirovaniye parametrov innovatsionnykh vodookhrannykh meropriyatiy na osnove proizvodstvenno-tekhnologicheskikh pokazateley dobychi uglya na predpriyatiyakh V'yetnama]. Gornyy zhurnal – Mining Journal, 2014, No. 9, pp. 143-146. Doctor of Economics Sciences, Professor in Economics and National Economy Management, Head of the Social and Labour Relations Laboratory at TSNIEIugol, Member of the Academy of Mining Sciences, a part time instructor for many years a professor in the state and municipal governance in industrial regions department at NITU MISIS, Member of the Dissertation Council at TSNIEIugol in charge of awarding science degrees in economics, Mr. Popov supervised 6 Ph.D. theses, Laureate of the Russian National Exhibition Centre for the Development of Social Policy and a System of Social Safety Nets for Miners During the Restructuring of the Coal Industry, Honorary Miner of Russia, recipient of numerous state, industry and regional awards, Full Knight of the Miner's Glory Distinction, Laureate of the Golden Miner of Russia Distinction. Position, Contacts: Central Research Institute of Economy, Scientific and Technical Information of the Coal Industry (TSNIEIugol), OJSC, Head of Department, Moscow, 119071, Russian Federation, tel. : +7 (499) 230-18-55, fax: +7 (495) 777-18-71. Research Areas: regional economics, labour economics, structural reform in industrial regions, social and labour relations, socio-economic problems of industry restructuring, state and municipal governance in industrial regions. Author of 100 scientific publications and 5 monographs (including as a co-author) on coal mining development in Russia, socio-economic problems of coal industry restructuring and structural reform in coal mining territories. RusSCI, Cited – 168 times, Hirsh's Index – 5. • Popov V.N. Socio-Economic Aspects of Structural Reform in Coal Mining Regions of Russia. [Sotsial'no-ekonomicheskiye aspekty strukturnykh preobrazovaniy v uglepromyshlennykh regionakh Rossii]. Selected Studies. Moscow, TSNIEIugol, 2005, 261 p.
• Popov V.N. & Garkavenko A.N. Social Investments in Strutural Reform of the Coal Industry of Russia: Experience, Problems, Prospects [Sotsial'nyye investitsii v restrukturizatsiyu ugol'noy otrasli Rossii: opyt, problemy, perspektivy]. Ugol’ – Russian Coal Journal, 2007, No. 3, pp. 19-21. • Popov V.N., Gribin Yu.G., Rozhkov A.A., Yefimova G.A. Key Ways to Improve the Qualifications and Pay of Mining Industry Employees [Osnovnyye napravleniya sovershenstvovaniya professional'nogo sostava, tarifikatsii i tarifno-kvalifikatsionnykh kharakteristik rabochikh v ugol'noy promyshlennosti]. Ugol’ – Russian Coal Journal, 2012, No. 6, pp. 44-47. • Gribin Yu.G., Yefimova G.A, Popov V.N., et al. Necessity for a Systems Approach to Designing Professional Standards in the Mining Industry [O neobkhodimosti sistemnogo podkhoda k proyektirovaniyu professional'nykh standartov v ugol'noy promyshlennosti]. Ugol’ – Russian Coal Journal, 2012, No. 11, pp. 39-43. • Popov V.N., Gribin Yu.G. & Mokhnachuk I.I. Estimating the Difficulty and Attractiveness of Labour as the Foundation for Scientific Design of Professiaonl Standards for Surface Coal Mining [Otsenka slozhnosti, tyazhesti i privlekatel'nosti truda – osnova nauchnogo proyektirovaniya professional'nykh standartov rabochikh pri dobyche uglya otkrytym sposobom]. Ugol’ – Russian Coal Journal, 2013, No. 10, pp. 46-49. • Popov V.N., Gribin Yu.G. & Garkavenko A.N. Improving the Efficiency of Management of Productivity Growth Reserve in Coal Mining Companies [Povysheniye effektivnosti upravleniya rezervami rosta proizvoditel'nosti truda na ugledobyvayushchikh predpriyatiyakh]. Ugol’ – Russian Coal Journal, 2014, No. 11, pp. 35-39. • Popov V.N., Gribin Yu.G., Yefimova G.A., et al. Methodological Recommendations for How to Improve Management of Material and Labour Resources during Modernisation and Innovative Development of Mining Companies [Metodicheskiye rekomendatsii po povysheniyu effektivnosti upravleniya material'nymi i trudovymi resursami v usloviyakh modernizatsii i innovatsionnogo razvitiya ugledobyvayushchikh organizatsiy]. Ugol’ – Russian Coal Journal, 2015, No. 6, pp. 48-54. 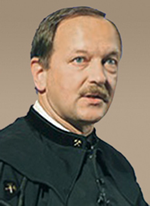 Doctor of Engineering Sciences, Professor, Member of the Academy of Mining Sciences, Russian Academy of Natural Sciences, Head of the Geo-information Modelling Laboratory at Kemerovo Branch Institute of Computing Technologies of the Siberian Branch of the Russian Academy of Sciences, Honorary Employee of the Coal Industry, Full Knight of the Miner's Glory Distinction, Laureate of the Golden Miner of Russia Distinction, supervisor of 3 doctors and 4 Ph.Ds, science supervisor of 5 post graduate students. Research Areas: distributed geo-information systems, geo-environmental monitoring systems for the coal industry, geo-dynamic monitoring of mining regions, large arrays of geological data and data mining methods, expert systems for the coal industry. Author of more than 150 scientific publications, 10 monographs 8 certificates for inventions. RusSCI, Cited – 411 times, Hirsh's Index – 8. • Potapov V.P. & Abramov I.L. Scientific Support of Innovative Development in the Coal Industry [Nauchnoye obespecheniye innovatsionnogo razvitiya ugol'noy promyshlennosti]. Ugol’ – Russian Coal Journal, 2006, No. 6, pp. 59-61. • Potapov V.P., Oparin V.N., Popov S.Ye., et al. Earth Core Destruction and Self-Organisation Processes in Technological Impact. Section V. Geo-information Control Systems and Seismic Activity in Kuzbass. Chapter 1. Methodology for Building Dynamic Geoinformation Systems [Destruktsiya zemnoy kory i protsessy samoorganizatsii v oblastyakh sil'nogo tekhnogennogo vozdeystviya. Razdel V. Geoinformatsionnyye sistemy kontrolya i seysmichnost' Kuzbassa. Glava 1. 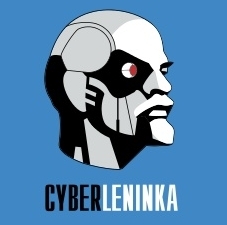 Metodologiya formirovaniya dinamicheskikh geoinformatsionnykh system]. Novosibirsk, Izd-vo SO RAN – Siberian Branch of the Russian Academy of Sciences Publishing, 2012, pp. 395-425. • Kovalev V.A., Potapov V.P. & Schastlivtsev Ye.L. Monitoring the Condition of the Natural Environment in the Coal Mining Areas of Kuzbass [Monitoring sostoyaniya prirodnoy sredy ugledobyvayushchikh rayonov Kuzbassa]. Novosibirsk, Izd-vo SO RAN – Siberian Branch of the Russian Academy of Sciences Publishing, 2013, 312 p.
• Zakharov Yu.N., Potapov V.P., Schastlivtsev Ye.L., et al. Modelling the Spread of Admixtures in Flooded Mines [Modelirovaniye rasprostraneniya primesey v zatoplennykh gornykh vyrabotkakh]. Kemerovo, 2013, 95 p.
• Potapov V.P. Geo-information Systems for Regional Monitoring of the Geo-mechanical and Geo-dynamic Situation Based on Entropy Analysis of Seismic Events [Geoinformatsionnaya sistema regional'nogo kontrolya geomekhaniko-geodinamicheskoy situatsii na osnove entropiynogo analiza seysmicheskikh sobytiy]. Fiziko-tehnicheskie problemyi razrabotki poleznyih iskopaemyih – Journal of Mining Science, 2013. Doctor of Engineering Sciences, Professor, Correspondent Member of the Russian Academy of Sciences, Member of the Academy of Mining Sciences, Russian Academy of Natural Sciences, International Engineering Academy, International Academy of Higher Education Sciences, Member of the Supreme Mining Council of Mining Industrialists of Russia, Member of the Academy of Sciences Council on Mining Problems, member of editorial board at several mining journal’s, chief editor of Gorny Zhurnal (Mining Journal), supervisor of 17 doctors and 32 Ph.Ds in engineering specialising in manning technologies, ITC and health and safety in mining. Research Areas: methane safety in coal mines; theoretical foundations of aero and gas dynamics in empty mine shafts; automated ventilation control systems in methane filled mines; integrated underground coal mining technologies; globalisation of mining; studies of minerals consumption in Russia and in the world; energy analysis of global crises; development of energy theory of economics. Author of more than 350 scientific publications, including 19 monographs, 12 textbooks, 30 patents and certificates. RusSCI, Cited – 1339 times, Hirsh's Index – 13. • Alekhichev S.P. & Puchkov L.A. Aerodynamics in Mine Collapse Zones and Estimating Block Air Leaks (monography) [Aerodinamika zon obrusheniya i raschet blokovykh utechek vozdukha (monografiya)]. Moscow, Nauka – Science, 1968. • Puchkov L.A. Day-to-Day Management of Ventilation of Gas Mines (scientific studies) [Operativnoye upravleniye ventilyatsiyey gazovykh shakht (sbornik trudov)]. Moscow, MGI – Moscow Mining Institute, 1979. • Ushakov K.Z., Burchakov A.S., Medvedev I.I., Puchkov L.A.. Aerology of Mining Companies (textbook) [Aerologiya gornykh predpriyatiy (uchebnik)]. Moscow, Nedra – Mineral Resources, 1987. • Puchkov L.A. & Temkin I.O. AI Problems in Management of Mining (monography) [Problemy iskusstvennogo intellekta v upravlenii gornym proizvodstvom (monografiya)]. Moscow, AN SSSR, IPKON – AS USSR, IPCOMR, 1990. • Puchkov L.A. Aerodynamics of Underground Empty Spaces (monography) [Aerodinamika podzemnykh vyrabotannykh prostranstv (monografiya)]. Moscow, MGGU – MSMU, 1993. • Puchkov L.A. & Kaledina N.O. Methane Dynamics in Abandoned Mine Shafts (monography) [Dinamika metana v vyrabotannykh prostranstvakh shakht (monografiya)]. Moscow, MGGU – MSMU, 1995. • Puchkov L.A. & Ayurov V.D. Synnergy in Mining Processes (Monography) [Sinergetika gornotekhnologicheskikh protsessov (monografiya)]. Moscow, Izd-vo MGGU – MSMU Publishing, 1997. • Puchkov L.A., Malkin A.S., Salamatin A.G., Yeremeyev V.M. Mine Design (textbook) [Proyektirovaniye shakht (uchebnik)]. Moscow, Izd-vo AGN – AMS Publishing, 2000. • Puchkov L.A. Russia in the World of Mining Business. Annals of University of Petrosani, Economics. Universitas Publishing House Petrosani – ROMANIA,Vol.6, 2006. • Puchkov L.A. & Slastunov S.V. Effective Solutions to Methane Safety of Coal Mine in Russia – Emergency Issue that Has to be Adressed Today [Effektivnoye resheniye problemy metanobezopasnosti ugol'nykh shakht Rossii – bezotlagatel'naya zadacha segodnyashnego dnya]. Ugol’ – Russian Coal Journal, 2006, No. 12, pp. 24-28. • Puchkov L.A., Vorobyev B.M. & Vasyuchkov Yu.F. Coal and Gas Energy Complexes Based on Gasification, Extraction of Methane and Production of Hydrogen [Uglegazo-energeticheskiy kompleks na baze gazifikatsii, dobychi metana i polucheniya vodoroda]. Ugol’ – Russian Coal Journal, 2007, No. 2, pp. 23-25. • Puchkov L.A. & Kaledina N.O. Development of a Development Strategy for the Coal Industry on the Baiss of a Road Map [Razrabotka strategii razvitiya ugol'noy otrasli na osnove Dorozhnoy karty]. Ugol’ – Russian Coal Journal, 2009, No. 1, pp. 11-14. • Puchkov L.A., Slastunov S.V. & Kolikov K.S. Problems with the Implementation of the Concept of Methane Safety in Russian Coal Mines [Problemy realizatsii kontseptsii metanobezopasnosti na ugol'nykh shakhtakh Rossii]. Ugol’ – Russian Coal Journal, 2009, No. 1, pp. 26-30. • Puchkov L.A. & Zhezhelevskiy Yu.A. Underground Mining of Natural Resources (textbook) [Podzemnaya razrabotka mestorozhdeniy poleznykh iskopayemykh (uchebnik)]. T.2. Moscow, Gornaya kniga – Mining Book, 2011. • Puchkov L.A. Mineral and Energy Consumption Forecast assuming a Crisis-Free Economy [Prognoz mineral'no-energeticheskogo potrebleniya pri beskrizisnom razvitii ekonomiki]. Gornyy Zhurnal – Mining Journal, 2014, No. 7. 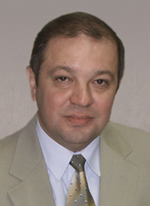 • Puchkov L.A. Energy Analysis of Global Crisis [Energeticheskiy analiz mirovykh krizisov]. Gornyy Zhurnal – Mining Journal, 2015, No. 4. 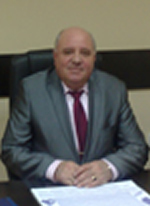 Doctor of Economics Sciences, Professor in Economics and National Economy, Member of the Academy of Mining Sciences and the International Academy of Environmental and Health and Safety Sciences (IAEHSS), Chair of the Board of Directors of Rosinformugol JSC, Professor in the State and Municipal Management in Industrial Regions Department of National University of Science and Technology MISiS, Member of the Dissertation Council at Scientific and Technical Information of the Coal Industry (TSNIEIugol), in charge of awarding degrees, supervisor of 2 post graduate students, 2 dissertation candidates that supervised graduation of 5 Ph.Ds, Laureate of the Russian National Exhibition Centre for the development of a coal industry diversification concept, Distinguished Scientist at IAEHSS, laureate of numerous state, industry and regional awards, Full Knight of the Miner's Glory Distinction. Research Areas: regional economics, labour economics, strategic planning, investment policy, management in coal industry, long term supply and demand forecasting in the coal market, socio-economic problems of industry restructuring and its consequences for industrial territories and mining towns, state and municipal governance in industrial regions. 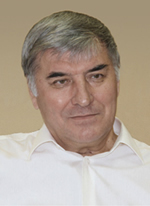 Author and co-author of more than 140 scientific publications, including 15 monographs on project management, construction, investment policy, regional policy, labour efficiency, strategic planning, management in mining, industry restructuring and its consequences and over 120 publications on national economy management, including 31 articles published in the Ugol’ Journal (a.k.a. the Russian Coal Journal). RusSCI, Cited – 240 times, Hirsh's Index – 5. • Rozhkov A.A. & Tushev A.Yu. Transformation of the System of Workplaces during the Structural Reform in the Russian Coal Industry [Transformatsiya sistemy rabochikh mest v protsesse strukturnykh preobrazovaniy ugol'noy otrasli Rossii]. Ugol’ – Russian Coal Journal, 2007, No. 3, pp. 11-16. • Yevdokimova N.A., Korchak O.A. & Rozhkov A.A. Management from Systems to Conceptial Analysis in the Mining Industry (Coal Mining) [Menedzhment: ot sistemnogo do kontseptual'nogo analiza v gornoy promyshlennosti (ugol'naya otrasl')]. Moscow, OOO Redaktsiya zhurnala Ugol' – Russian Coal Journal Edition LLC, 2012, 304 p.
• Pyatkin A.M. & Rozhkov A.A. State-Private Partnership in Coal Mining Towns [Gosudarstvenno-chastnoye partnerstvo v zhiznedeyatel'nosti uglepromyshlennykh monogorodov]. Ugol’ – Russian Coal Journal, 2012, No. 11, pp. 44-48; Ugol’ – Russian Coal Journal, 2013, No. 6, pp. 58-63 (end of the article). • Rozhkov A.A. Socio-Economic Development Problems in Coal Mining Areas (selected studies) [Sotsial'no-ekonomicheskiye problemy razvitiya ugol'noy otrasli i territoriy yeye promyshlennoy dislokatsii (izbrannyye trudy)]. Moscow, OOO Redaktsiya zhurnala Ugol' – Russian Coal Journal Edition LLC, 2013, 426 p.
• Rozhkov A.A. & Lemyaskin A.A. Estimating Potential environmental and Socio-Economic impacts and Risks Related to the Development of the Yerkovetsky Brown Coal Deposit in Amur Oblast – a section of the Methodological Approaches to Decision Making in Sustainable Development of the Territory [Otsenka potentsial'nykh ekologicheskikh i sotsial'no-ekonomicheskikh vozdeystviy i riskov, svyazannykh s razrabotkoy Yerkovetskogo burougol'nogo mestorozhdeniya v Amurskoy oblasti. – razdel monografii Metodicheskiye podkhody k prinyatiyu resheniy v sfere ustoychivogo ekologo-ekonomicheskogo razvitiya territoriy]. Yekaterinburg, Institut ekonomiki UrO RAN – Yekaterinburg Economics Institute of the Urals Branch of the Russian Academy of Sciences, 2014, pp. 167-183. • Rozhkov A.A. Structural Reform in the Coal Industry and in the Regions. Global Experience, Problems and Prospects (collected articles) [Strukturnyye preobrazovaniya v ugol'noy otrasli i regionakh. Mirovoy opyt, problemy, perspektivy (sbornik statey)]. Saarbrukken (Germany), LAP LAMBERT Academic Publishing, 2015, 310 p.
Doctor of Economics Sciences, Professor, Member of the Academy of Mining Sciences, Laureate of the Russian Government Award in Science and Technology (2008), Honorary Employee of the Fuel and Energy Complex, Honorary Employee of the Coal Industry, Full Knight of the Miner's Glory Distinction, head of R&D at Holding Company SBU-Coal, research supervisor of 2 dissertation candidates, under whose supervision 2 Ph.D. in economics graduated. Research Areas: development of methodologies for improving the running of surface transport using ITC, feasibility studies for selecting the best options for developing coal mining companies, optimisation of production and economic costs of extracting and selling coal. Author of more than 70 scientific publications, including 4 monographs, 4 textbooks, 3 state registration certificates for software programs, 65 scientific articles. RusSCI, Cited – 318 times, Hirsh's Index – 6. • Rybak L.V. Environmental and Economic Analysis of the State of the Environment in the Urban Territories of Kuzbass [Ekologo-ekonomicheskiy analiz sostoyaniya okruzhayushchey sredy urbanizirovannoy territorii Kuzbassa]. Moscow, MGGU – MSMU, 2009, 479 p.
• Rybak L.V Environmental and Economic Effectiveness of the Development of Production Activities of Coal Mining Companies in Key Industrial Urban Centres [Ekologo-ekonomicheskaya effektivnost' razvitiya proizvodstvennoy deyatel'nosti ugledobyvayushchikh predpriyatiy v usloviyakh urbanizirovannykh territoriy]. Tula, Izd-vo TulGU – Tula State University Publishing, 2010, 320 p.
• Rybak L.V. Environment and Econocis of Natural Resources (textbook} [Ekologiya i economics of natural resources (uchebnik)]. Moscow, MGGU – MSMU, 2012, 365 p.
• Rybak L.V. & Efimov V.I. Produciton and Environment (textbook) [Proizvodstvo i okruzhayushchaya sreda (uchebnik)]. Moscow, MGGU – MSMU, 2012, 301 p.
• Suprun V.I., Rybak L.V., Radchenko S.A., et al. Determining the boundareis of Surface Mining for Extracting Coal [Obosnovaniye granits otkrytykh gornykh rabot pri otrabotke krupnykh ugol'nykh brakhisinklinaley]. Ugol' – Russian Coal Journal, 2012, No. 6, pp. 30-33. Mining Engineer, Veteran of Labour, recipient of a Services to the Motherland Order, 2nd degree, Full Knight of the Miner's Glory Distinction. Research Areas: development of science based proposals for development of the coal industry in Russia based on integrated analysis of external and internal coal market trends and related measures to develop the energy, transport and port infrastructure, providing support to the Russian coal industry in the period through 2030. Co-author of the monograph Coal in Russia’s Economy (Moscow, Economics, 2010, 383 p.). • Skryl' A.I. Economic and Social Problems with Restructuring the Coal Industry [Ekonomicheskiye i sotsial'nyye problemy restrukturizatsii ugol'noy promyshlennosti] // Labour Relations and Collective Action in Modern Russia: Political, Legal and Social Aspects [Trudovyye otnosheniya i kollektivnyye deystviya v sovremennoy Rossii: politicheskiye, pravovyye i sotsial'nyye aspekty]. Moscow, Editorial URSS, 1999, pp. 213-225. • Yanovsky A.B. & Skryl' A.I. Restructuring the Coal Industry of Russia: Premises, Expereicne, Problems, Prospects [Restrukturizatsiya ugol'noy promyshlennosti Rossii: predposylki, opyt, problemy, perspektivy]. Energeticheskaya politika – Energy Policy, 1999, No. 3. Doctor of Economics Sciences, Professor, Correspondent Member of the Russian Academy of Sciences. Research Areas: regional economics, labour economics, development of a general economic theory using mathematical methods and systems statistics, production trend research and studies of economic shifts, research of patterns and factors of economic development, institutional and social dynamics of modern society, strategic planning, investment policy, management in coal industry, socio-economic problems of coal dominated territories and town, state regional policy, territorial governance, integrated development of Siberia, modelling of space structure of economic development. Author of more than 400 scientific publications, monographs and articles. RusSCI, Cited – 2466 times, Hirsh's Index – 23. • Suslov V.I. Innovative Economy: General Provisions [Innovatsionnaya ekonomika: obshchiye polozheniya]. Vestnik Altayskoy akademii ekonomiki i prava – Altai Academy of Economics and Law Herald, 2015, No. 1, pp. 15-24. • Suslov V.I. Reindustrialisation through the Prism of Innovations [Reindustrializatsiya skvoz' prizmu innovatsiy]. Interexpor GEO-Siberia 2015 XI International Congress, April 13-25, Novosibirsk. International Scientific Conference on Economic Development of Siberia and the Far East. Economics of Natural Resources, Land Division, Forest Management, Real Estate Management. Collected Materials in 4 volumes (compiled by V. Suslov et al.). Novosibirsk, Siberian University of Geo-systems and Technologies (SGUGiT), 2015, Vol.2, pp. 26-28. • Suslov V.I., Bobylev G.V., Valiyeva O.V., et al.. Identifying Ways to Improve Regional Innovative Policy [Opredeleniye napravleniy sovershenstvovaniya regional'noy innovatsionnoy politiki]. Region: ekonomika i sotsiologiya – Region: Economy and Sociology, 2015, No. 1, pp. 177-196. • Development of Macro and Inter-industrial Methods of Economic Analyses: proceedings of the 21-st INFORUM World Conference. Listvyanka, 26-31 August 2013. In A. Baranov, V. Suslov (Ed.). 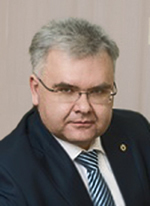 Novosibirsk, Institute of Economics and Industrial Engineering of Siberian Branch of Russian Academy of Sciences (IEIE SB RAS), 2014, 215 p.
Doctor of Engineering Sciences, Professor, Member of the Russian Academy of Natural Sciences, Correspondent Member of the Russian Engineering Academy, 3rd Class State Advisor, Honorary Employee of the Fuel and Energy Complex, Full Knight of the Miner's Glory Distinction. Position, Contacts: Holding Company Siberian Business Union (SBU), JSC, Vice-president, Moscow, 119034, Russian Federation, tel. : +7 (495) 721-83-63. Research Areas: development and introduction of advanced surface mining technologies, new science-backed technical solutions and technologies for surface mining, improving running of surface equipment using modern ICT, feasibility studies to select the best production development options for coal mining companies, ensuring health and safety and environmental protection, optimisation of production processes and costs during extraction and sale of coal. Author of publications on surface coal minig. RusSCI, Cited – 68 times, Hirsh's Index – 2. • Shchadov V.M. On the State of the Coal Industry and Its Short Term Development Prospects [O sostoyanii ugol'noy otrasli i blizhayshikh perspektivakh yeye razvitiya]. Ugol’ – Russian Coal Journal, 2004, No. 8, pp. 4-6. • Shchadov V.M. Coal Industry in Russia: Strategy and Future Potential [Ugol'naya promyshlennost' Rossii: strategiya i potentsial budushchego]. Ugol’ – Russian Coal Journal, 2005, No. 3, pp. 3-5. • Shchadov V.M. 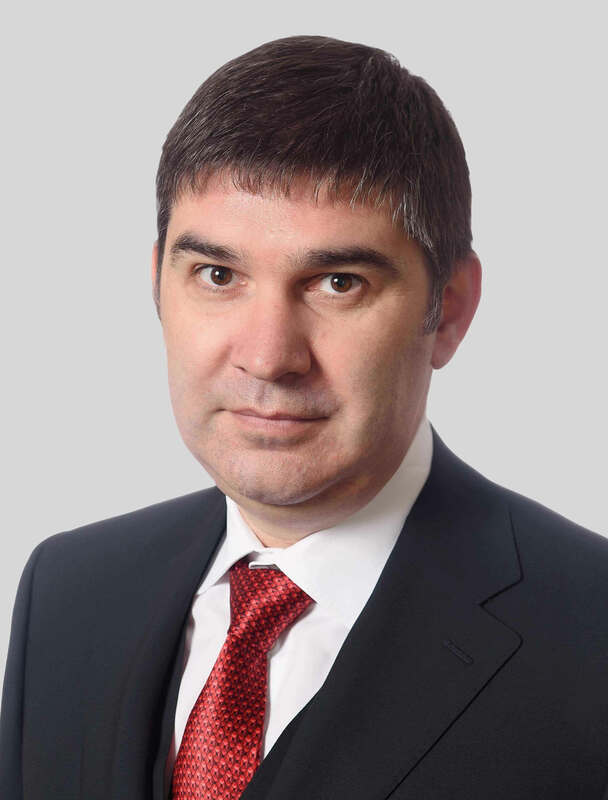 Rising Profitability of Coal Production as the Main Outcome of the Restructuring Programme (Interview) [Rost rentabel'nosti ugol'nogo proizvodstva – budet glavnym itogom pri realizatsii vedomstvennoy tselevoy programmy po zaversheniyu restrukturizatsii (interv'yu)]. Ugol’ – Russian Coal Journal, 2005, No. 8, pp. 4-7. • Shchadov V.M. Environmental Problems of the Coal Industry in the Final Stages of Restructuring [Ekologicheskiye problemy ugol'noy otrasli na zavershayushchem etape restrukturizatsii]. Ugol’ – Russian Coal Journal, 2007, No. 6, pp. 31-36. • Shchadov V.M. Russia’s Power and Coal Industries: Forecasts, Prospects, Problems [Elektroenergetika i ugol' Rossii – prognozy, perspektivy, problemy]. Ugol’ – Russian Coal Journal, 2007, No. 5, pp. 7-10. • Shchadov V.M. Processign Coals in Russia in the 21st Century [Pererabotka ugley v Rossii v 21 veke]. Ugol’ – Russian Coal Journal, 2007, No. 8, pp. 28-31. 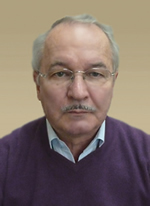 Doctor of Economics Sciences, Honorary Miner of Russia, Honorary Employee of the Fuel and Energy Complex, Recipient of State Awards of Kazakhstan such as Kurmet Order (2010), 20 Years of Independence of Kazakhstan Medal (2011), For Services to the Region Badge (2012), used to sit on the dissertation council while being a professor in the environment and natural resources economics department, consulted on investments in the Nikolskoye Coal deposit in Buryatiya, one of the co-authors of the trusted management project for the ‘Severny’ Open-pit mine in Ekibastuz, author of a new production management system called “Bogatyr Production Systems” 5S (workplace organisation system), A-3, Kaizen. Research Areas: regional economics, labour economics, production organisation, mining management, innovative development, development of industrial territories, investment policy, forecasting of demand, development of state-private partnership, selection of effective production development options for coal companies, ensuring health and safety and environmental protection. Author of 17 scientific publications and 2 monographs. • Shchukin V.K. & Melekhov D.P. Transforming Coal Mining Technologies in the Open-Pit Mines of the Ekibastuz Deposit, New Solutions on the Way to International Standards [Transformatsiya tekhnologiy dobychi uglya na razrezakh Ekibastuzskogo mestorozhdeniya, novyye resheniya – put' k mirovym standartam]. Ugol' – Russian Coal Journal, 2015, No. 6, pp. 12-17. 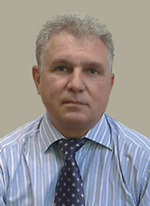 Doctor of Engineering Sciences, Professor, Member of the Academy of Mining Sciences, Russian Academy of Natural Sciences (RAEN), Eurasian Academy of Sciences, International Academy for Environment and Health and Safety, Chair of the North Western Branch of the Academy of Mining Sciences, Laureate of the Russian Government Award for Development and Introduction of Production Management of Geo-mechanical Processes in Natural Resources Exploration (1999), Research Manager of the research programme at VNIMI, Chair of the VNIMI research council, Member of the RAN research council on mining sciences, recipient of the Order of Honour, Saint Barbara Order, Nestor the Chronicler Order, 1st Degree Revival of Russia Badge, Two RAEN Badges for Services for Science and Economics, Honorary Miner of Russia, Full Knight of the Miner's Glory Distinction. Research Areas: systemic geological, geophysical research of the structure and property of rock using nonlinear dynamic models and geodynamic monitoring; petro-physics research, application of electromagnetic and seismic underground monitoring; development of geo-physical appliances and geo-technical monitoring systems, new modelling systems, hydro-geological and survey observations to ensure safety of mining and local populations in areas of coal, natural gas and oil exploration, development of standards for health and safety. Author of more than 170 scientific publications, monographs, scientific articles, patens for inventions. RusSC, Cited – 192 times, Hirsh’s Index – 5. • Yakovlev D.V., Azarov N.Ya. Seismoaccoustic Method for Forecasting Mining Conditions of Coal Deposits [Seysmoakusticheskiy metod prognoza gorno-geologicheskikh usloviy ekspluatatsii ugol'nykh mestorozhdeniy]. Moscow, Nedra – Minerals Resources, 1988, 199 p.
• Yakovlev D.V., Rozenbaum M.A. Modern Problems of Geo-mechanics in the Coal Industry [Sovremennyye problemy geomekhaniki v ugol'noy otrasli]. Zapiski Gornogo institute – Mining Institute Notes, 2006, Vol.168, pp. 71-74. • Yakovlev D.V., Tsirel' S.V., Zuyev B.Yu., et al. Impact of Earthquakes on the Stability of Open-Pit Mines Walls [Vliyaniye zemletryaseniy na ustoychivost' bortov kar'yerov]. Fiziko-tehnicheskie problemyi razrabotki poleznyih iskopaemyih – Journal of Mining Science, 2012, No. 4, pp. 3-19. • Yakovlev D.V., Lazarevich T.I., Tsirel' S.V. Genesis and Development of the Natural and Human-Caused Seismology in Kuzbass [Genezis i razvitiye prirodno-tekhnogennoy seysmoaktivnosti Kuzbassa]. Ugol’ – Russian Coal Journal, 2013, No. 10, pp. 53-60. • Yakovlev D.V. Standards and Methodologies for Anchor Buttressing of Coal Mines in Russia [Normativno-metodicheskiye osnovy krepleniya gornykh vyrabotok ankernoy krep'yu na ugol'nykh shakhtakh Rossii]. Ugol’ – Russian Coal Journal, 2014, No. 7, pp. 12-14. • Yakovlev D.V., Mulev S.N., Udalov A.Ye. Seismic Deformation Monitoring System as Part of a Multi-Funcitonal Safety System for Coal Mines [Sistema seysmodeformatsionnogo monitoringa v ramkakh mnogofunktsional'noy sistemy bezopasnosti dlya ugol'nykh shakht]. Ugol’ – Russian Coal Journal, 2014, No. 10, pp. 35-39. 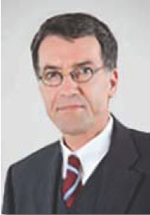 Dr.-Ing., Ph.D. in Mechanical Engineering and Safety Technology (Bergische University Wuppertal, Germany), Honorary Professor of Bergische University Wuppertal, Faculty of Architecture, Civil Engineering, Mechanical Engineering and Safety Engineering. 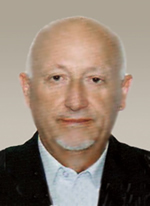 Guenther Apel is the manager of the DMT`s Mining Consulting & Engineering Division. DMT GmbH & Co. KG (DMT) is an independent engineering and consulting company, active at international scale. The DMT Group boasts about 1,000 employees, most of them engineers, scientists and technicians. Guenther Apel`s expert teams of Mining Consulting & Engineering Division are located in Russia, India, Indonesia, South Africa, United Kingdom and Germany. They provide services in the form of individualized consulting and assistance tailored specifically to the clients' needs. Additional branch offices give customers direct access to the services. The experts offer comprehensive consulting and planning support for international mining operators, investors and development institutions. The solid, wide-ranging know-how covers the entire life cycle of the mine. Included are the exploration phase, deposit modelling, mining planning, development, mineral processing and operational support, right through to recultivation of the surface of disused industrial sites. Safety and profitability are at the forefront of the activities. With decades of experience and the most modern equipment, the specialists are dedicated to performing innovative and highly technical analyses. They conceptualize and plan the processes for recovering natural resources and the permanent underground storage of substances. Research Areas: improvement in safety and efficiency of mining enterprises are the background R&D work which is very successfully done since many decades. Special research and development areas are rock mechanics, rock outburst and gas outburst prevention, ventilation, air conditioning, extraction and preparation. Furthermore research and development work for underground nuclear waste disposals are a passion of the engineers and technicians. Projects are industry, government or EU funded. Author of more than 45 scientific publications. • Tverdov A.A., Nikishichev S.B., Yanovsky A.B., Apel G. Prevention and elimination of burning of pedigree dumps [Profilaktika i likvidacija gorenija porodnyh otvalov]. Ugol’ – Russian Coal Journal, 2010, No. 2, pp. 3-6. • Apel G. Underground mine fire prevention and extinguishing using modern non-cryogenic technologies of inerting by nitrogen [Preduprezhdenie i likvidacija pozharov na ugol'nyh shahtah s ispol'zovaniem sovremennyh nekriogennyh tehnologij inertirovanija azotom]. Ugol’ – Russian Coal Journal, 2012, No. 9, pp. 48-52. • Hackenberg W. & Apel G. Simplified manufacture of long-splicing, cable car manual, manual of mountain and winter technology, S. 41/46, stone-Verlag Baden-Baden GmbH, 1993. • Michelis J. & Apel G. 150 years colliery Tremonia - From a coal mine to world famous Versuchsgrube Tremonia, The gate 56, 2004, Vol. 1, pp. 12-26. • Apel G. Support of the Russian mining industry by consulting and engineering, illustrated by selected examples from the fields of shaft and track conveyor technology, geotechnical engineering and landscape planning Paper presented at the international conference of the VDMA and the DMT during the period from 18th to 20.10.1994 in Novosibirsk (Siberia), Russia. 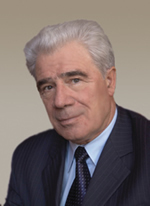 Doctor of Engineering Sciences, Professor; Member of Saxon Academy of Sciences, Member of Russian Academy of Natural Sciences, President of the Association of German Mining Engineers, Secretary General of World Forum of Resource Universities on Sustainability, Member of the Society of Mining Professors, Member of the International Organizing Committee of the World Mining Congress; Doctor honoris causa from universities in Russia, Romania, Bulgaria, Ukraine and Mongolia. Research Areas: mine planning, mining operations and mine water management in surface mining; special topics: simulation, modelling and visualization of mining processes; dewatering, blasting, rock cutting, selective mining, deep sea mining; environmental and economic aspects of mining, responsible mining approach, reclamation, mine closure, acid mine water management, water treatment, mineral extraction from mine water. Author of more than 400 scientific publications, including over 10 monographs. RusSCI, Cited – 257 times, Hirsh's Index – 5. Some Scientific Publications (most significant) – see the list in Academic curriculum vitae. • Drebenstedt C., Struzina M. Overburden Management for formation of internal dumps in coal mines. In: Rock Dumps 2008 (Ed. Fourie A. ), Australian Centre for Geomechanics, Perth, 2008, pp. 139-146. • Pivnjak G.G., Gumenik I.L., Drebenstedt C., Panasenko A.I. Scientific basics for rational use of nature in surface mining (in Russian). Dnepropetrovsk, 2011, 566 Seiten (ISBN 978-966-350-286-1). • Drebenstedt C., Eichler R., Simon A. Challenges in modern surface mining (in German). Springer Verlag, Wien, 2013, pp. 155-176 (ISSN 0005-8912, ISSN 1613-7531). .• Drebenstedt C. The Responsible Mining Concept – Contributions on the Interface between Science and Practical Needs. In: Mine Planning and Equipment Selection, Springer International Publishing 2014, pp. 3-24 (DOI: 10.1007/978-3-319-02678-7_1). • Drebenstedt C., Kuyumcu M. Lignite mine closure (in German). Springer Verlag, Berlin Heidelberg, 2013, 680 Seiten (DOI 10.1007/978-3-642-16353-1). 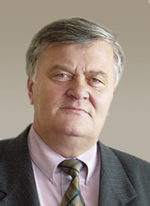 Doctor of Engineering Sciences, Professor, Correspondent Member of the Polish Academy of Sciences, President of the International Organisation Committee of the World Mining Congress (IOC WMC), Chair of the Health and Safety in Mining Commission, research supervisor for 8 dissertations and reviewer for over 100 doctoral dissertations and proposals for awarding professorships. Research Areas: mining geophysics and geo-mechanics, geology of minerals deposits (coal deposits), dangerous phenomena in underground mines, health and safety, removal of methane from coal layers, degassing, rational use and environmental protection, clean coal technologies. Author of 350 scientific publications, including original monographs, articles and publications. • Dubinski J. 2013. Sustainable development of mining mineral resources. Journal of Sustainable Mining, 12(1), Katowice, pp. 1–6. • Dubinski J. 2013. The mechanism and consequences of strong mining tremors that occur In Polish hard coal and Cooper mines. Proc. of EUROCK 2013 - the 2013 ISRM International Symposium, Wroclaw. Ed. Taylor & Francis Group. London, New York, pp.31-38. ISBN 978-1-138-0080-3. • Dubinski J. 2013. The coal mining industry of the European Union’s countries – prospects and challenges. Proc. International Coal Summit’2013. Beijing, pp. 22-31. ISBN 978-7-5646-2078.10. • Dubinski J., Turek M. 2014. Chances and threats of hard coal mining development In Poland – results of experts research. Archives of Mining Sciences. Krakow, Vol.59, No. 2, pp.395-411. PhD in Economics (Moscow State Mining University), International Competent Person and Fellow of the Institution of Materials, Minerals and Mining (FIMMM), the UK, OEN expert, UK, Russia, CIS, Mongolia. Nikishichev S.B. is a manager of the division for Russia and CIS of the international company IMC Montan/DMT/WYG International, making a significant contribution in development of the industry. Presently, the Company is widely recognized as a technical consultant and industry expert which opinion is being taken into account by analytical agencies, auditors and appraisal companies, financial institutions, and mining companies, as well as by Russian government agencies. The consulting services cover all solid minerals, all types of deposits and full life cycle of mining companies. The main directions of activity of the Company is audit of reserves according to international standards, technical and technological consultancy, justification studies for investments, improvement of labour productivity and optimising of production processes. IMC Montan supports the development of new technologies and integration of international practice in the mining industry on the basis of its expertise in related industries and international status. Research Areas: improvement in efficiency of mining enterprises; and use of new techniques and technologies. Implementation of directions takes place through the work of IMC Montan, participation in work of Technology Platforms of Solid Minerals, involvement in activities of National Association of Subsoil Examination (NAEN), as well as lecturing in MBA NITU of National Technological University (MISIS). • Tverdov A.A., Zhura A.V. & Nikishichev S.B. Modern methodical approaches to delimitation of the surface mining [Sovremennye metodicheskie podhody k opredeleniju granic otkrytyh gornyh rabot]. Ugol’ – Russian Coal Journal, 2009, No. 2, pp. 21-23. • Nikishichev S.B. International Approaches to Industrial Safety at Mining Companies [Mezhdunarodnye podhody k voprosam promyshlennoj bezopasnosti na gornodobyvajushhih predprijatijah]. Bezopasnost' truda v promyshlennosti – Labour and Industrial Safety, 2012, No. 2. • Tverdov A.A., Zhura A.V. & Nikishichev S.B. Russia’s Coal Industry’s Development Challenges and Outlook [Problemy i perspektivy razvitija ugol'noj otrasli Rossii]. Ugol’ – Russian Coal Journal, 2012, No. 8, pp. 86-88. • Nikishichev S.B. Specifics of Investments into Foreign Mineral Property [Osobennosti investirovanija v zarubezhnye ob’ekty nedropol'zovanija]. Gluckauf, 2013, No. 1. • Nikishichev S.B. Improvement of Deposit Development Budgetary Efficiency and Socio-Economic Macro-effect Valuation Methods [Sovershenstvovanie metodov ocenki bjudzhetnoj jeffektivnosti i social'no-jekonomicheskogo makrojeffekta ot osvoenija mestorozhdenij]. Subsoil Usage in XXI Century, 2013, June. • Nikishichev S.B. Mine Design Stages in Russia. Mineral Resource and Reserve Estimation, The AusIMM guide to good practice, 2nd edition, Monograph 30, 2014 (addendum to JORC 2012). Research Areas: systemic geological and geophysical research into the structure, properties and state of rock, construction geo technology and geo mechanics, integrated utilisation of underground spaces of minerals resources deposits, construction of shafts under challenging hydro-geological and hydro-mechanical conditions, development of a concept for the creation and operation of complex geo-systems comprising natural and technological elements, development of systems and means for geo-dynamic and geo-technical monitoring, new systems for modelling of geo-mechanical processes, integrated geophysical, hydro-geological and survey monitoring to ensure safety of new mining operations and the livelihood of local populations in areas affected by mining, new scientifically based solutions and technologies, health and safety and environmental protection, geo-environmental monitoring.